... das Tor zur Kultur von Kuba! DER BESTE PLATZ UM EIN PAAR TOLLE TAGE IN HAVANNA ZU VERBRINGEN..
Das Boutique HOTEL, die Fusion von Moderne und Tradition, von Qualität und Design an einem einzigartigen Ort. Mit seiner excelenten Ausgestattung erwartet sie unser Haus in einem der schönsten Stadtviertel von Havanna, in Vedado für einen unvergesslichen Auftenthalt. Eine elegante Villa aus den 20-iger Jahren, komplett neu renoviert, erwartet Sie in einer neu geschaffenen Atmosphäre aus Tradition und Moderne. Die Calle 2, befindet sich im Künstlerviertel von Havanna VEDADO. Das ARTeHOTEL ist umgeben von Theatern, Restaurants, Café´s und Bars, in einer ruhigen Seitenstraße, nur 5 Minuten vom MALECON entfernt. Relaxt sitzen Sie auf der großen Terrasse, umgeben von altem Baumbestand der Calle 2. Unsere anspruchsvollen Zimmer sind namhaften Kubanischen Künstler mit Weltruf gewidmet – ein Tribut an die kubanische Kultur und ihre Künste. Besuchen Sie uns auf Facebook… für aktuelle Ereignisse! E-Mail – einfach hier klicken! wo das Herz der Kunst schlägt. reservieren sie noch heute – ihren Aufenthalt bei uns! Die großzügige Suite POESIA ist gewidmet der kubanischen Literatur, im speziellen der kubanischen Dichterin CARILDA OLIVER. Geboren in der Stadt Matanzas, mit ihren erotischen Versen und ihrer fantasievollen Ausdruckskraft, ist sie ein zeitloses Symbol der kubanischen Literatur. Y su personal, una familia extraordinaria con los que consigues sentirte como en tu casa. Gracias a todos por estos días preciosos. Podría decir que me he sentido como en casa pero es mentira, me he sentido mucho mejor. La casa, el servicio, la hospitalidad y el trato de Héctor y Laura es inmejorable. No pudimos tener mejor alojamiento para este ciclo de cine. Espero que haya muchas ediciones de la muestra y que todos los años sean aquí. 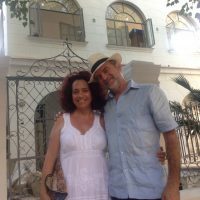 Muchas gracias por los cuidados y atenciones recibidas, es imposible encontrar anfitriones tan buenos y cariñososo como Héctor y Laura y todo su equipo del ArteHotel 2.El mejor lugar para hospedarse en La Habana… Y en el Mundo. Un beso grande. + El mejor hotel de todos los que estuvimos en Cuba. Espectacular. Lleno de detalles. Impoluto. Amabilidad absoluta y disponibilidad total del staff. Volvería sin dudarlo. Atención que está en el vedado. + This unique hotel has a wonderful ambiance and beautiful decor. The staff are very helpful and friendly. It was also great to meet one of the owners, celebrated photographer Hector Garrido. - Everything was perfect. No complaints! Wundervoll! Würde sofort wieder dort übernachten! + Das Personal ist unfassbar freundlich! Selten habe ich mich so gut aufgehoben gefühlt in einem Hotel! Es ist sehr klein, es hat nur 8 Zimmer doch die Rezeption ist 24/24h besetzt. Die Betreiber waren stehts nett und zuvorkommen. Man bekam sogar insider-tipps wenn man nachfragte! Das Hotel ist wunderschön eingerichtet und überall findet man tolle Kunst von Gemälden zu Möbeln über Musik. Unbedingt sollte man dort auch das richtig gute und traditionelle Frühstück mit umwerfendem Kaffee! - Leider hatte das Hotel kein wifi anders wie angegeben, allerdings ist wifi in ganz Cuba schwierig zu ergattem. Es liegt auch etwas ausserhalb aber dafür schön ruhig. + Very welcoming and nice staff. Beautiful room and house. Quiet neighbourhood. 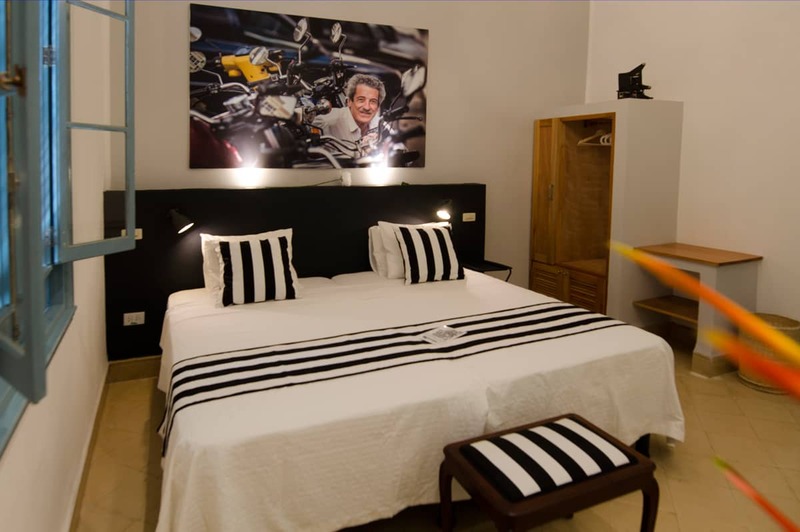 - It's located a bit farther from touristic centre but jus a short taxi ride away. + Friendly and helpful staff/owners. Lots of knowledge about the area and "what's On". Large rooms, beautifully designed and comfortable. Great location. + We had a lovely time in ArteHotel. Everything was perfect. The breakfast was delicious!!!! + The whole hotel is beautifully decorated - the best out of all the hotels I stayed at in Cuba. The staff are very friendly and helpful. The rooms are all themed which is fun, ours even had a ballet bar in it which I love as I used to dance! The bathroom was amazing and modern with a full rain forest shower. the breakfast was very delicious and with a lovely view, great recommendation for a local Cuban restaurant for our dinner as well. - The room was a bit smaller than expected. Could have included a bit more in the breakfast. + We love the room with a very nice decoration, AC. The breakfast and breakfast room, the service. - The location is very quiet but a little a bit far from the center. + It sure left line home after a few days. The staff was extremely helpful and friendly. We loved every minute we stayed there. - It takes time to get used to Havana. The neighborhood is run down but that is Havana and one quickly gets used to it. What I really missed was having connectivity as I have to work even when on holiday. + El personal del hotel es excelente, muy simpáticos. El hotel es muy bonito y la habitación que nos toco era preciosa y amplia. El desayuno está muy bien, tiene de todo. Me he alojado ya dos veces y volvería sin dudarlo. + Really nice hotel. The room was nicely decorated. We had a nice pleasant stay. The breakfast was also well made. I really enjoyed trying new stuff. The staff was very helpful and also surprised me on my birthday. Thank you all for the efforts. + Fomos recebidos pelos melhores recepcionistas que possivelmente há no mundo - Stalina, Henry e José Luis. Um especial e profundo agradecimento à Stalina por toda a sua dedicação para connosco e será difícil algum dia encontrar alguma forma de lhe retribuir. Cumprimentos para todos e votos de grande sucesso para o espaço. + Fomos muito bem recebidos. A equipe muito alegre. Vocês são sensacionais. Ficamos muito bem localizados. Ganhei um vinho de aniversário... Amei!! Muito bom mesmo... Vários restaurantes proximos. Obrigado por tudo! Fantastic place and amazing staff made your stay very enjoyable. We highly recommand this place! + Fantastic place and amazing staff made your stay very enjoyable. We highly recommand this excellent address in Havana! + Great access to the Malecom and many sights. - Quite a distance to Old Havana. + son increíbles las habitaciones, ambientadas diferentes, por fotógrafos, increíbles. por la oferta en la habana, parece de otro país. + It's really a beautiful atmosphere in this hotel. In every corner a piece of art with an history behind. + Un lugar increible para la havana que los servicios son basicos. El mejor desayuno de mi vida. Habitaciones, todas diferentes y enormes. Un hallazgo. Nada es como este hotel en cuba. La atencion unica, te sentir parte de la familia. Lo recomiendo. + Very quiet place and good breakfast! + Un personnel au petits soins... un peu bruyant et un poil loin du centre mais ça on le savait. + Amazing place!!! Loved it... it is in Velado, 45 min walk from old Havana. The area was great and modern... but think about what you wish to see. I really like it!!! + La casa es fantástica, la atención es exquisita, y los anfitriones un lujo. Arte del bueno. Great place to stay while visiting Havana with very helpful staff. Good location with good restaurants within walking distance and breakfast here was very good as well. Glad we stayed here over a hotel in Old Havana as it gave us a chance to see a different part of the city with more relaxing setting. I would definitely stay here again! Tolles Hotel, abgelegen und ruhig aber doch schnell in Old Havanna. Dieses Hotel hat nur wenige Zimmer, die sehr schön eingerichtet sind. Das Hotel liegt etwas ausserhalb der City in einem guten Wohnviertel. Sehr gutes Hauspersonal! Casa hat schönes Design im Boutiquestil. Das Personal war sehr hilfsbereit. Die Unterkunft hat uns sehr gefallen, aber: Die Preise sind viel zu hoch!!!!! Das Zimmer war viel zu klein, man konnte das Gepäck gerade noch am Boden abstellen! Für denselben Preis bekommt man in Europa und Asien (z.B. Singapur!) ein 4 - 5 Sterne Hotel!!!!!! Fazit: Der Eigentümer (Fotograf) verlangt unverschämte Preise!!!!!!! Nicht zu empfehlen!!!!!! Nice big room, great shower, comfortable bed, helpful and friendly staff. Excellent. Great relaxing hotel in a quiet location. Very stylish and well looked after. Location, Physical Condition and Staff service were great. I was disappointed however not to receive complimentary water the 2nd of our 2 night stay. There was water for sale but at a cost much higher than the cost of water in the supermarket. Unbelievable! I got sick from eating out and a member of the staff went out and got medicine for me and brought it to me without me even asking when she found out I had gotten sick. Very kind and generous staff who was also very helpful in getting my bearings in Cuba. I would recommend to anyone! Phenomenal experience!! This hotel is magical. I love the color schemes, decoration and photography. The entire staff is outstanding, courteous and extremely helpful. The breakfast is delicious and has all the divine flavors from Cuba. I wish connecting to the wifi was easier and more consistent but that does not take from my delightfull experience at this hotel. Highly recommended! Questo hotel è veramente carino. Le camere sono a tema, piccoline ma pulite e accoglienti. La colazione molto buona anche se a pagamento. Il personale dell’hotel gentilissimo. Ci hanno spiegato la zona (non proprio vicina all’havana Vieja) e come raggiungere le principali attrazioni. Inoltre avendo il volo alle 19 ci hanno permesso di tenere la camera senza costi aggiuntivi! Wir haben uns sehr wohl gefühlt! SUPER freundlich, sauber, sehr leckeres Frühstück - rundum Wohlfühlprogramm! 5.0 THE best place to stay!!!!! The staff was very friendly and made us feel at home. They catered to our every need. The hotel was not only beautiful and well maintained but also convenient to everything. I will miss "Mi Familia"
5.0 Artistic Gem in Vedado! ArteHotel is a wonderful place to stay in Vedado!! The people are all so friendly and helpful, and most speak English. The atmosphere is wonderful, bright and artistic. It is clear to see that the owners are both artists. The welcome mojito is the best we have had in Cuba! The rooms are pretty and clean and the atmosphere is very Cuban. Breakfast and cocktails on the "patio" with windows open and breezes blowing. We will definitely stay here again. The Vedado area was once the very fashionable part of town to live in. The remains of these mansions are clearly visible, some in beautiful condition, others sadly crumbling. The main attractions of Havana are a taxi or bus ride away. The hotel is happy to arrange transportation for their guests. A true gem!! Wifi throughout Cuba is a challenge. The hotel's systems was damaged in Hurricane Irma and not yet repaired. Passei apenas minha última noite em Havana neste hotel, o bairro em que está localizado tem muitas opções turísticas também para serem feitas a pé e ótimos restaurantes! A equipe é muito socilita em ajudar em tudo que podem. A decoração do hotel e do quarto é sensacional faz a gente tornar a estadia em uma cidade mágica ainda mais mágica! Acho válido deixar a única observação que os quartos não oferecem TV e frigobar o que para alguns pode ser importante! 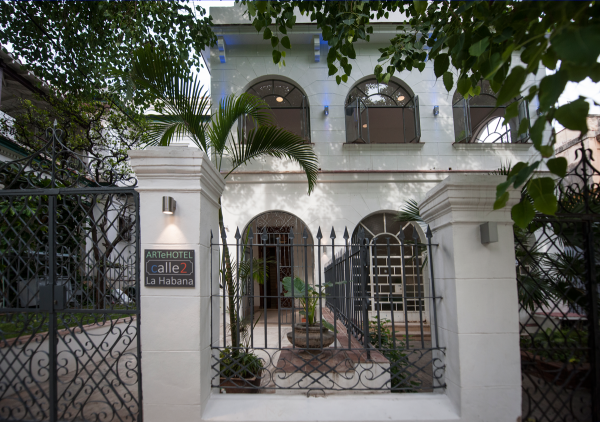 This boutique hotel is a gem in Havana, with beautiful rooms and attentive service. I’ll be back. 5.0 Hermoso lugar y personas! La casona es magnífica! Los cuartos cómodos y todo limpio y único, en cuanto al mobiliario. El barrio es excelente! Hay restaurantes de todo tipo cerca, está muy bien ubicado! Totalmente recomendable! Excellent service, good breakfast and clean rooms. Wi-fi did not work at all. Personal muy amable, sábanas de la cama no eran cómodas. 5.0 Leuk hotel met heel aardig hotelpersoneel. Een fijn en schoon hotel in een rustige straat. Het hotelpersoneel was heel aardig en gaf goede adviezen waar wij het goed kunnen eten en uitgaan. Excellent, highly recommended. Best combination of price and service. O hotel é muito bom para quem deseja passar uma ou poucas noites na cidade. A localização é razoavelmente boa, de fácil acesso a pé à Av. Malecón. O estabelecimento, embora instalado em edificação bastante antiga, é muitíssimo bem conservado, limpo e organizado. No entanto, não há internet disponível no hotel nem mesmo mediante taxa paga a parte. Se o hóspede precisar de internet, terá de comprar cartão pré-pago da Etecsa. De um modo geral, recomendo o hotel considerando seu custo-benefício. Beautifully decorated, clean, comfortable with a lovely rain shower and a comfortable bed. The staff were amazing as well! friendly staff on arrival, very helpful, nice welcome drink, clean and well designed hotel, feels like home. Amazing personal, amazing location, amazing room, amazing comfort, amazing welcome, amazing bathroom, amazing art, amazing balcony and rocking chairs...everything abt this casa is AMAZING. Das Hotel liegt im Stadtteil Vedado und somit etwas ausserhalb des Stadtzentrums. Ein Taxi ins Zentrum kostet etwa 5 CUC (=5 CHF) ein Taxi Collectivo 1 CUC (=1 CHF). Zu Fuss ist es etwas weit. Die Zimmer sind gross und sehr sauber. Das Bett war bequem. Klimaanlage funktionierte sehr gut. Unser Zimmer lag direkt neben der Küche, deshalb war es ab 5.30 Uhr teilweise etwas laut durch die Geräusche aus der Küche. Das ist aber der einzige zu bemängelnde Punkt. Ansonsten ist das Hotel sehr zu empfehlen. Alle Mitarbeiter sind extrem freundlich und hilfsbereit. Das Frühstück ist sehr lecker. Die Zimmer und die Rezeption liegen im 1. Stock des Gebäudes (Treppe, kein Lift). Ins Gebäude kommt man nur durch ein Tor, welches auf Klingeln geöffnet wird. Die Umgebung ist sehr sicher. Überhaupt hatten wir in ganz Kuba nie das Gefühl, dass es gefährlich sein könnte. Es gibt in der näheren Umgebung viele kleine Restaurants und kleine Märkte. Direkt um die Ecke ist eine Bank um Geld zu wechseln. Das Internet funktionierte bei uns leider nicht. Man kann aber ins Hotel Melia Cohiba (ca. 5 Gehminuten) gehen. Man benötigt eine Karte (1h = 1 CUC/1 CHF) die man auch im Hotel kaufen kann. Mit dem Code geht man dann über ein WiFi ins Internet. Der Transport vom Flughafen zum Hotel wurde für uns durch das Hotel organisiert. Es klappte alles einwandfrei. Der Fahrer wartete vor dem Flughafen auf uns, trotzdem wir 2 Stunden am Gepäckband auf unsere Koffer warten mussten. Loved the hotel will recommend to everyone going to Cuba. The staff were warm and welcoming and couldn't help me enough. 5.0 for the price it is wonderful! Beautiful hotel in a quiet green neighborhood. Room was spacious and clean with a comfortable bed. Staff was extremely helpful and caring. Das Hotel liegt abseits des großen Touristen-Rummel im Stadtteil Vedado. Von dort dauert es ca. 10 Minuten mit dem Taxi (am besten zum Media Cohiba gehen und dort das Taxi nehmen) bis zur Altstadt. Am Hotel Media Cohiba (gegenüber auf einer kleinen Parkinsel) ist auch eine Verkaufsstelle für die Internet-Karten, die man in ganz Kuba braucht. Besser hier kaufen als in der Altstadt, wo die Schlangen deutlich länger sind. Das Hotel ist privat geführt. Es hat einen sehr netten Charme, ist sauber und das Personal ist sehr freundlich. Hier kann man sehr schön entspannen und hat eine tolle Nachtruhe. Das Frühstück ist klein, aber sehr gut. Frisches Obst, frischen Fruchtsaft und ein individuell zubereitetes Ei-Gericht nach Wunsch. Das WLAN war recht gut. Wenn irgendein Gast oder das Hotel selber eingeloggt ist, kann man sich gratis ebenfalls einloggen (was bei uns sehr oft der Fall war). Auf jeden Fall eine Empfehlung, wenn man nicht in ein typisches Touristen-Hotel möchte, wo Massenabfertigung herrscht. Das Hotel ist wunderschön, Eingang in 1 Stock ohne Lift.Die Zimmer sind schön er als das andere sehr künstlich ein gerichtet.Viele verschiedene Bilder von Künstler an den Wânden und sehr verschiedene Möbel. Das Hotel befindet sich in einer aufwändig sanierten Villa im Stadtteil Vedado. Jedes Zimmer ist individuell gestaltet und sehr geschmackvoll eingerichtet. Das Team des Hotels ist sehr nett, freundlich und hilfsbereit. Zum Frühstück gibt es frische Tropenfrüchte, frisch zubereiteten Fruchtsaft, sehr guten Kaffee, Toast, Butter, Marmelade und Eier nach Wahl. In unmittelbarer Umgebung des Hotels befinden sich mehrere gute Restaurants/Paladars. Eine Post sowie eine Bankfiliale befinden sich ebenfalls in der Nähe. Der Malecon ist wenigen Geh-Minuten erreichbar (dort können auch Karten für das Internet erworben werden). Für einen mehrtägigen Aufenthalt in Havanna ist das Hotel wärmstens zu empfehlen. O hotel fica em um excelente bairro, próximo de vários restaurantes e pontos turísticos no bairro Vedado. O hotel e o quarto são excepcionais assim como os atendentes. Não possui TV e frigobar no quarto acho bom salientar isso! 5.0 The Place to stay in La Havana!! We went to La Havana for a wedding. We thought about staying in a "guest house" , but decided instead to choose this wonderful Boutique Hotel, with six rooms which were occupied by all the guests who also came to the wedding. The rooms are absolutely beautiful each one different from the other, full of sophistication and taste. Those who like small hotels but full of rich art, then this is the place to come. Service is wonderful, the waiters wake you up with the most beautiful smile that fills you up for the rest of the day. You are served with practically anything you ask. Breakfast is served while listening to soft Cuban music and absolutely great tropical fruits. The receptionist Stalina and Claudia make your stay a place to return not once but almost as making La Havana your vacation destination! Why choose anything else, when the ArteHotel has the solutions to all your problems, restaurant, taxis, nothing was too much bother, always ready to guide with a smile!! (Signed off from the most difficult person to please, fussy and attention to detailed orientated)..
Zimmertipp: I cannot give any advice on any of the six rooms as they are all absolutely GORGEOUS! Accueil parfait malgré une arrivée tardive, chambre spacieuse et calme, pour un repos bien mérité. Petits déjeuners copieux dans un cadre reposant, cet hébergement est très bien situé dans le quartier calme du Varedero. Equipe sympathique, intimité préservée...on se croit à la maison ou plutôt chez un ami artiste. Que du bonheur pour plusieurs jours à La Havane. Top location in Vedado, almost in the corner of Calle Línea where taxis are easy to get. The beautifully restaured house from early 1900’s is a jewel dedicated to the arts, rooms are named Music, Dance, Movies, Poetry, Plastic, Authors. Owners are both artists, a Cuban actress and a Spanish photographer. Very clean and spacious rooms and public areas. We were welcome with mojitos and breakfast is available with a nice variety of fruits and eggs. The best of Artehotel Calle 2 is the Hotel team! So friendly and helpful that you don’t want to leave! From Stalina and Claudia and the day helpers to Henry in the night shift, all are willing to help you giving you tips and a big smile! One of the few privately owned hotels Havana. Our room was spacious, clean and beautiful decorated. Staff were really friendly and very helpful with great english. The breakfast was served at the table with everything from fresh fruit to egg of your choice. The airport pickup service was fantastic and we recommend it if you havent been in Havana before since it takes a while to understand the system with taxis. The only downside might be that it is located in a residential area which is quite dark at night but also very quiet. There are some good restaurants close by. Taxis are around 5 USD to the center of Havana. Couple jeune, nous avons séjourné à l’ARTeHotel La Havana Cuba durant 3 nuits. Un grand merci à toute l’équipe de l’hôtel, toujours aux petits soins des occupants. Très joli boutique hôtel installé dans une ancienne demeure coloniale dans le quartier du Vedado. Quartier résidentiel parfait pour visiter La Havane, proche de la Habana Vieja (15min en taxi à 2CUC) et calme pour se reposer le soir. Personnel charmant, dispo 24/24 et de très bons conseils : réservation et conseil de restaurants, indication des bureaux de change (5min à pied de l’hôtel), réservation d’un tour en vieille voiture américaine avec chauffeur + guide en anglais, les endroits à faire, pas faire, les quartiers, et même réservation d’un taxi pour aller à Varadero où nous poursuivions notre séjour avec chauffeur parlant français ! Petit déjeuner dans salle avec véranda avec choix de fruits frais, œufs, toasts, jus de fruits, préparés minute tous les matins. En bref un hôtel parfait mixant « vrai hôtel » et chambre chez l’habitant (casa particular) dans une belle demeure bien entretenue. Hôtel calme car peu de chambres, nous avions choisi la chambre « Plastica ». Nous recommandons cet hôtel à La Havane ! A lovely boutique hotel made more memorable because of the warm, friendly and caring staff. It was our first visit to Cuba so we didn't have any idea regarding getting around, place locations, restaurants, maps etc. Nothing was too much trouble for the staff they were always incredibly helpful and always helped with a smile! The rooms were excellent with wonderful artwork in each room and the location whilst not in Old Havana, was only 15-20 mins from Old Havana in a taxi at a cost of around $5. All staff members were great but a special thanks to Stalina and Claudia. 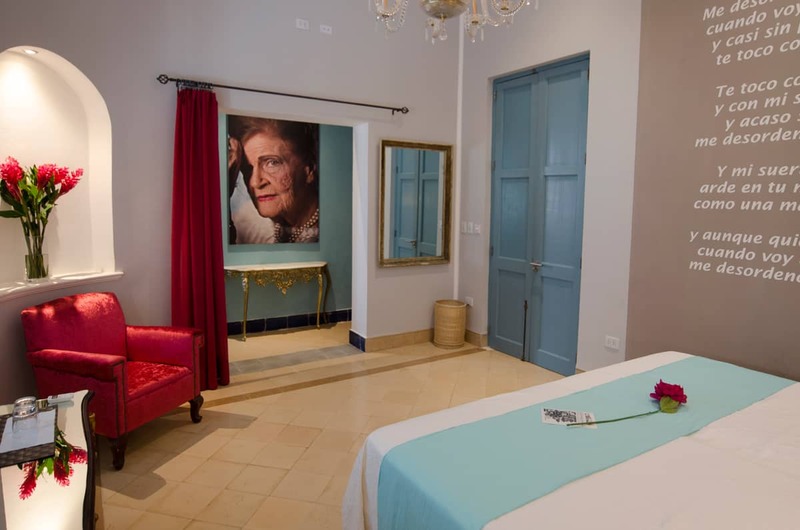 This hotel is a little gem in the Vedado neighborhood of Havana! The hotel opened less than a year ago in a house from the 1920s. It has 5 rooms and 1 apartment. Everything is new, clean, tastefully decorated and modern. The owners of this hotel are a Spanish photographer and Cuban actress. The hotel is dedicated to art, and every room is uniquely designed to represent a form of art (dance, poetry, film etc). We had the chance to talk to the owners, and it was interesting to hear more about the philosophy and background about the photographs and design. The best part of the hotel is the personal and friendly service by the staff and owners. One truly feels like a welcomed guest in this hotel. The staff can organize tours, taxis etc. We booked a vintage car tour of Havana, organized by the front desk. Everyone in the front desk spoke English very well. The rooms have all necessary amenities, and are very comfortable and clean. The beds are comfy, and the shower is the best one we experienced in Cuba. Great water pressure and warm water. We were served mojitos when checking in. For 5 CUC per person, you can have breakfast in the hotel. The breakfast served is typical Cuban (bread, juice, coffee, eggs and fruits). Vedado is a quiet and safe neighborhood in Havana, and there are plenty of good restaurants in the area. We opted for Atelier, a few blocks away. It costs 10 CUC and takes about 10 minutes to go by taxi to Havana's old town. We stayed in quite a few hotels, hostels and casa particulares during our 2 week trip in Cuba, and this hotel was by far the best one we experienced in Cuba. Should we return to Havana, we would stay in this hotel again for sure. Hotel simpatico, acolhedor. Estávamos em grupo de amigos. Ocupamos 3 quartos. O banheiro é muito bom. As camas são boas. Quarto amplo. A equipe é simpática e atenciosa. A localização é ótima. Mas para quem tem problema de mobilidade não é uma opção. Logo na entrada há uma enorme escadaria. Não recomendo para idosos ou pessoas com mobilidade reduzida. Preço é satisfatório. Sehr schönes und liebevoll renoviertes Hotel in einer Villa. Jedes Zimmer ist unterschiedlich eingerichtet nach Themen. Alle Mitarbeiter im Hotel waren sehr hilfsbereit und freundlich, einziges Manko war leider das WLAN, dieses hat ständig nicht funktioniert. El hotel es precioso, decorado con un gusto excelente. Nuestra habitación, cine, es muy amplia y con todas las comodidades. El desayuno estaba exquisito. Está situado en un barrio tranquilo y muy bonito cerca tanto de Centro Habana y Habana Vieja como de la Plaza de la Revolución, pero sin duda lo mejor de todo fue la atención que recibimos del personal. En todo momento dispuestos a ayudar y atentos a nuestras necesidades. 100% recomendable. Acogedor, agradable, limpio, el barrio es un buen lugar, nos Vedano a casa desde fábrica de arte cubano, y era muy seguro, fácil de llegar al malecón, mi favorito, y Elena. . . El mejor.. Gracias! We have enjoyed a wonderful week in ArteHotel. As well as tasty breakfasts, the staff have provided us with great advice on what to do and see here in Havana. We especially appreciated the tickets for the ballet and information and transport for our day at Santa Mar’ia beach. We loved the elegant surroundings and the fantastic music! Many thanks. After missing departure of my cruise ship due to aircraft malfunction, being re-routed through Havana and not having my luggage, finding ArteHotel on Expedia was a wonderful relief. The hotel is charming and the women at the desk went out of their way to help me locate my luggage. I will certainly recommend to others. Herzlichen dank für einen wundervollen Aufenthalt in ihrem Hause. Von der ersten bis zur letzten Sekunde haben wir uns dem schön gestalteten Räumen und der leckeren Verpflegung sehr wohl gefühlt. die nette Bedienung zum Frühstück und der Rezeption. Wirhaben us wohgefühlt und werden euch eiter empfhelen. Herzlichen Dank für insgesamt 6 Tage in eurem wunderschänen Haus und für die vielen Tipps. Wiur haben viele gute Restaurants und Sehenswürdigkeiten kennengelert. What a lovely stay we have had. The rooms re gorgeous and hosts amazing. We will be back. Pasamos 3 noches en este encanto de Hotel. Fue nuestra primera experiencia en La Habana. Gracias a todos los empleados y a Héctor y a Laura por hacernos sentir como en nuestra casa. What a wonderful hotel! Everything was perfect from beginning to the end. Breakfast was delicious and the shower just before going back to the airport was very much appreciated. You helped us to enjoy La Habana, we will definitely recommend this unique place. I have tried many. Wonderful people, Hector and Laura. Are most kind + interesting. And Stalina is an Angel. What a wonderful oasis in the middle of Havana. Beatiful hotel + wonderful friendly staff. We will definitely recommend to our friends. Una semana increíble en La Habana y en Cuba que habría sido lo mismo sin la ayuda del personal del hotel. ¡!Muchas gracias Claudia, Stalina!! Muchas gracias Arte Hotel!. Un fuerte abrazo. Five peaceful days in this beautiful hotel. An air of color in gorgeous surroundings. Thank you to all the lovely staff who made our stay so lovely. Muchas gracias por la hospitalidad!!! Hemos pasado unos excelentes días. Muy buena la atención, muy confortables las habitaciones y excelente calidad humana. Thanks for the relaxing days in your very nice rooms. We enjoy Cuba. What a great find this hotel was. We loved our stay in Havana!. Best breakfast and the wonderful team are so helpful!!! Venimos por primera vez a Cuba y tuvimos la suerte de aterrizar en este maravilloso hotel. Hemos estado como en casa, gracias por la hospitalidad y el cariño que hemos sentido. First visit to Cuba from USA. And this place Arte Hotel is the most beautiful place we stayed in. Staff are wonderfull and treated us like Family. Will be back. Love Cuba. We have had a fantastic time at Arte Hotel, very comfortable on every level and and absolutely amazing staff who have all been super friendly and helpful. Havana is a fabulous city and Cuba as a whole is amaizing! Eveything was perfect! This is a unique hotel in the heart of a special neighborhood. Great location. Laura and Hector and everyone who works at the hotel are like a family. I felt welcomed and at home instantly. I am looking forward to coming back. The food was excellent; the rooms are gorgeous and elegant, and everyone is knowledgeable reconmmendations for food, sight seeing. I will see you all soon! Absolutely loved our stay!!! The staff is top service, Unlike I´ve ever experienced before. The room, the lobby, the location. Everything about this place is amazing! Beautiful Hector ans his wife. The entire hotel team are some of the nicest people we´ve ever met. When we return to Cuba we will definitely stay here. Thank you all so so much for everything!!! Very nice hotel with good service. A pleasure to stay here. What a beautiful stay! From the moment we stepped in the door we felt at home. The hospitality has been tremendous. Muchas gracias a Yeney y Stalina. Their tips and advice, as well as facilitating reservations etc, absolutely made our trip. We fell in love with the city ans your hotel. Can´t wait to come back again soon! What a unique and wonderful hotel. It made our stay in Cuba so special. We will be back. Thank you for helping to make our stay at this hotel so wonderful!! !Can´t wait to be back!. We have had a wonderful stay at the hotel. Both the staff and accommodation are wonderful. Echaremos de menos los desayunos...Las sonrisas...El vermú...El vino de piña...Volveremos!!! Muchas gracias a todos vosotros. Sois maravilosos. Hemos pasado una inolvidable semana, también vosotros habeis contribuido a ello con vuestra Paciencia, Discreción, Amabilidad, Dulzura y AMor. Para todos vosotros los chicos y las chicas de ArteHotel, gracias por vuestro entusiasmo y amabilidad. Habeís hecho que pasemos una semana inolvidable y que queramos repetir. Laura, Héctor y Amaranta: Me siento feliz y afortunada de encontrarnos en esta bella vida...Me sentí como en casa. En México ya los espero. Gracias siempre. You hotel is beautiful and your staff so friendly and professional. We had a most wonderful first impression of Havana and we will be back. 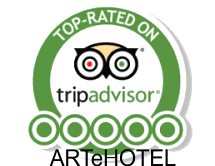 For Staff of Arte Hotel a BIG Thank you for a most Wonderfull and friendly stay. Your hospitality and friendliness helped . Our first stay in Cuba a most memorable and beautiful experience. We had a wonderful stay at the Arte Hotel. It’s so beautiful and the Staff is so nice. 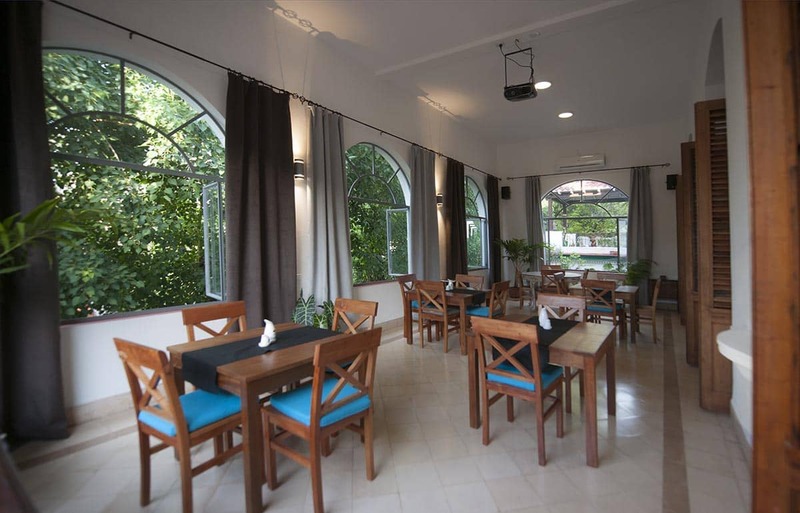 The location is perfect and close to every main attractions in Havana. Thank you for a wonderful stay in this beautiful hotel. The staff have been so wan and welcoming, a real home from here whilst in Cuba. Breakfast ear morning has been delicious and me best coffee in Habana! What a honeymoon! Thank you very much for a wonderful time in Havana! We felt very welcome and at home. We had a very nice staying. Very nice hotel, attention to staff is welcoming and helpful … felt like your home. Thank you very much for a wonderful stay! The staff are awesome - very friendly and so helpful. The rooms are comfortable and beautiful. We felt so at home. 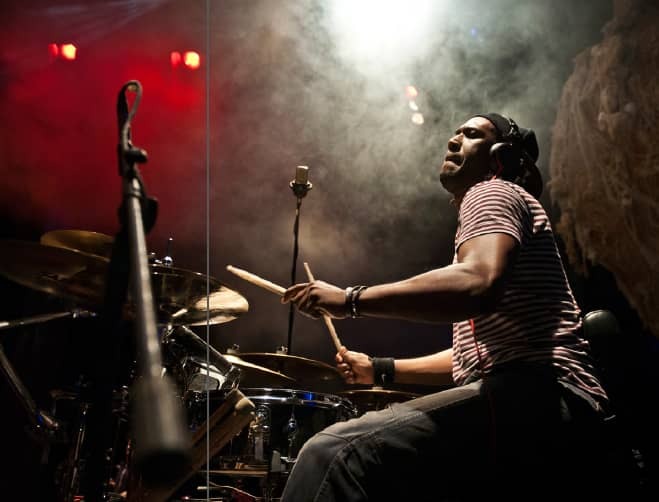 Thank you for making our time in Havana so memorable! Muchas gracias para una inolvidable noche en esta casa muy muy bonita y es llenado con tanto amor y personas muy amables. ¿Nos encanta mucho! Cuando volveremos a Cuba un día, volveremos a este sito fantástico! Muchísimas gracias por la maravillosa estancia! El lugar y la gente son encantadores. Mis recomendaciones con ustedes! No hay mejor lugar en Habana para quedarse. Gracias! This has been our first visit to Havana, but hopefully not our last! The ARTeHOTEL was a real find and we have not been disappointed by our choice. Fabulous, spacious and beautifully designed rooms; wonderful, filling breakfast (and the coffee!! ); but best of all the friendly and helpful staff. Everyone has given us their time, their advice and assistance to make sure we have had the best time in Cuba. The restaurants, the car tour and little tips have all been marvelous! Thank you fo much and we will remember all our memories fondly. We have had a very relaxing stay here at this unique small hotel. Our room was very spacious + clean. The staff have been wonderful, couldn’t be more helpful. I would definitely recommend this hotel. Breakfast was excellent. El hotel mas bello, todo, la decoración, el desayuno, los cuartos los baños y sobre todo la gente, que belleza, que dulzura, que servicio. Los recomendamos a todos y la proxima vez aquí volveremos. We enjoyed our last 3 days of our Cuba trip staying at your hotel. Ou l’art respire dans toutes les pieces! Point de depart pour découvrir la Havane… porte dentée pour un beau voyage á Cuba. We had an awesome time here! I will definitely recommend you! We have loved every moment of our stay. Thank you to the wonderful staff for all of the recommendations. Please star an U¡Instagram account so that more people can become familiar with your wonderful accommodation. miejsce przyjazne, goscinne i pieknie ungokone. Spędzenie tu crasu byis pryjemnoscie i nytchnieniem proed korcicem urlopu. ¡Viva Havana! Han excedido nuestras expectativas y han hecho que nuestro viaje express a la Habana haya valido la pena. Sumamente acogedor, cálido. Servicio excepcional. Gracias! Thank you for a magical experience! It was like a trip back into time, to a more elegant & refined period. A perfect last night in Cuba! Thank you very much for your hospitality!! We had a lovely time here. Increíble fue los días en Arthotel Calle 2! Amui, simplesmente! A amabilidade de vocês é fantástica. Espero voltar. Gratos por tudo. Thank you fro looking after us so well. It was lovely staying in ARTEhotel. stay @ your lovely house. Escrito con color verde, lo hago a propósito, puesto que es el color de la esperanza, y mi esperanza es volver a Cuba, y volver a esta casa donde nos han hecho sentir en casa, trato familiar, amigable y personalizado. Hasta siempre. Gracias por todo. Los tres primeros días del viaje de mis sueños los he pasado aquí. Un placer y una agradable estancia. It was a wonderful stay here! Lovely staffs and very helpful! Thank you so much! and for all your help! We’ll be surely coming back! Thanks a lot. Your hotel is so cosy, the atmosphere is relaxing. My daughter and I filed our saying in here. The staff are helpful and friendly. Hotel hermoso, habitaciones hermosas excelente servicio. My parture partner I had a lovely stay here at ARTeHotel!